The vibrant 5.2 inch On-Cell HD IPS display with 1280x720 resolution and 2.5D glass makes photos, games, news, movies and countless other things become real with brilliant colors. The nights are yours with the Night Mode protecting your eyes while you conquer the social media, eBooks, blogs and the rest of the world. 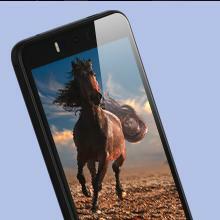 13MP Faster AF camera with Dual Tone LED Flash gives you beautiful cinematic shots. 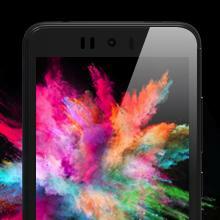 Enjoy high-quality selfies with a 13MP Selfie Camera with Dual LED Flash and Face Beauty. 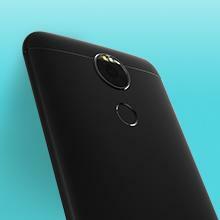 Click photos with the Fingerprint sensor and volume keys. The 3000 mAh battery offers enough juice to keep you going with a 25 hours* talk time and a whopping 425 hours standby time. 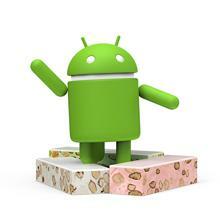 Latest Android 7.0 Nougat with access to over 2.8 million Apps and a seamless Android experience. 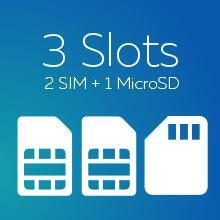 Supports 4G VoLTE and three slots, 2 SIM (micro + micro), 1 micro SD. Compact, sleek and strong metallic body that provides a touch of class and ensures safety.